But how do you get from this list of words to the end result of actually engaging with your suppliers? For me, support is really the key word here. If you embed supportiveness into interactions with your suppliers, then the communication and transparency will follow naturally. Simply supporting your suppliers and helping them to help themselves can go a long way towards increasing their understanding of your business and making them more motivated to work with you to a common goal. One way that this can be achieved is through a helpdesk team. 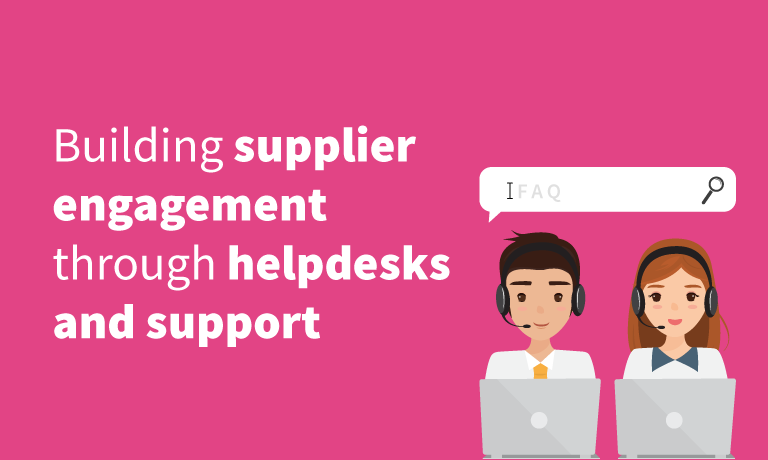 Whether that is a general helpdesk for both suppliers and commercial staff or a dedicated supplier helpdesk; having a team who are there to make it easier for your suppliers to work with you is crucial to effectively supporting them. Valuable, but the people costs can sadly often be prohibitive, which is why support can be lacking. 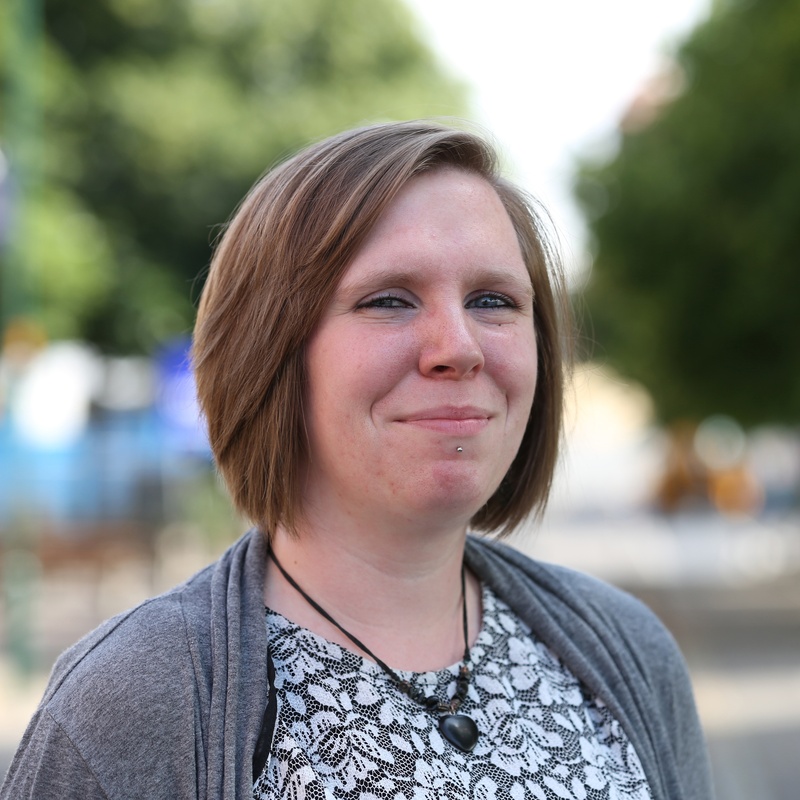 As well as having a central team that suppliers can contact for support – or indeed, even if there isn’t a central team - it is important to provide them with a way of finding information for themselves and this is where a well-maintained knowledgebase can come in. We often refer to this as ‘supplier self-help’. A knowledgebase can act as a really useful central repository for making sure that suppliers have all the information they need, it can also be the perfect place to store information that needs to be accessible internally. And it is not just about policies and process. It is about those all-important FAQs that help suppliers get the job done, without recourse to the retailer’s own brand team. This part is key for the transparency and communication pillars of supplier engagement because it allows you to easily share information with suppliers that they might otherwise not get to see. This is likely to make them feel more like a valued member of a team rather than ‘just another supplier’. So, you’ve got your helpdesk and knowledgebase set up, but how do you know whether you’re doing a good job and, of course, achieving a return on your investment? Satisfaction surveys are a great way to track how well you are actually supporting your suppliers. By using the industry standard CSAT questions (because in this instance your suppliers are your ‘customers’ - the people using the self-help system), you will even be able to generate a CSAT score that will help you to see when you need to improve the level of support provided. We’re big fans of this metric at S4RB. The self-help score looks at how many knowledgebase visitors have viewed a knowledgebase article then not gone on to raise a query with the helpdesk. Clearly the higher this figure, the more valuable the self-help tool. This figure can then be used to figure out how much of a return on investment (ROI) you are getting from your knowledgebase. How much work has been taken away from the retail team by the supplier proactively finding their own answer to their query? An ROI which often equates to a six-figure impact or the equivalent of several people. You’ll want to have service levels (SLA) in place that outline the maximum time it should take to respond to a query and to resolve it - to manage expectations. You can then report on how well these SLAs are being met, giving you an overview of how efficiently the helpdesk is working. An easy way to keep track of all these metrics would be to create a dashboard that allows you to look at them all side by side and track how they change over time, helping you to continuously improve your support function. Supplier engagement is especially important for own brand retailers. The nature of the industry means that suppliers are likely to be working with a number of competing retailers. By creating a mutually beneficial partnership, you can become a preferred customer to your suppliers. But whichever tool you use, it is important that you provide the tools which support your suppliers. That empower suppliers to that common goal, which is ultimately to excel for your common customer - the person in-store buying that own brand product.